​Keep in mind that the type of fish you are aiming to catch and the environment are two important things to consider when you're looking for a backpacking fishing rod. There are essentially three types of popular environments for us backpackers: sea, lake and river. ...and there isn't a rod out there that works perfect in every single one of them. Especially if you're a beginner fishing enthusiast. What to look for in a fishing rod for backpacking? 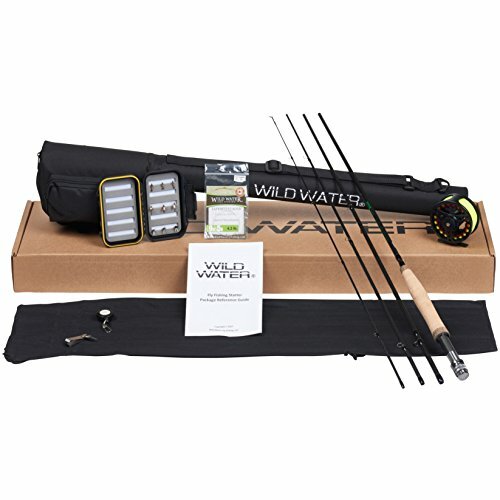 ​Wild Water Fly Fishing Rod | $94.00 is the best choice for beginners because of its compact set and versatility. 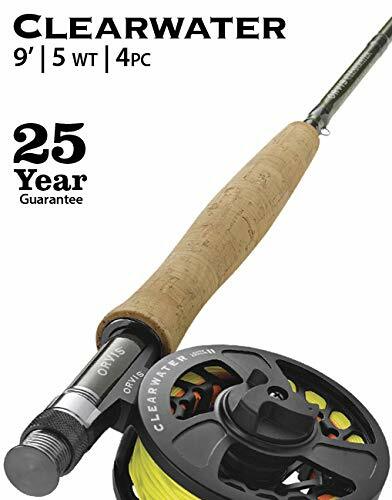 Orvis Clearwater Fly Rod | $289.95 is a more durable alternative to it and can be good for more experienced traveling fly fishermen. Besides the fly fishing rods, Okuma Voyager Travel Kit | $40.29 is a great, easy-to-use spinning travel rod but with a bulkier case. For those who want to catch larger fish, Daiwa Ardito Travel Rod | $90.46 is a bait-cast rod that is very durable but can be a bit harder to use. 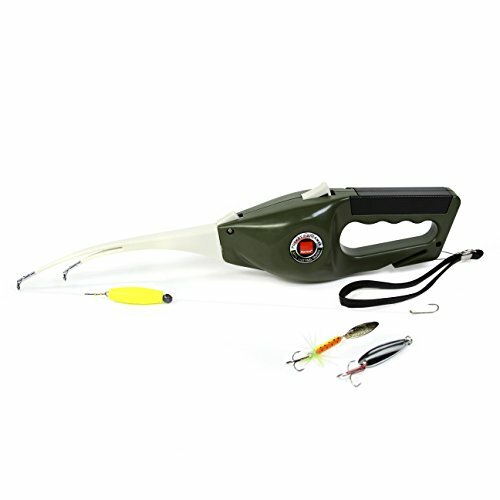 Also as an alternative to these, Ronco Pocket Fisherman | $19.99 is a 8-inch rod that isn't as great at catching fish but ridiculously compact. But put more weight on the first and third one because you probably aren't an expert in fishing and all the 5 rods I chose are more than enough in terms of performance. We've been shopping online for years and never had any problems. Before you buy, do make sure to check the seller's return policy, but you can almost always return an unused rod within a certain time frame. If you don't like it after trying it at home, you can always return. "Cool info but I wish I didn't have to cook man..."
I've got you covered! Check out my article no cook, no refrigeration camping foods. Before we get to the bolts and nuts, let me lay out the information I've gathered in a table real quick. Turn your phone sideways for a better table display. Everything fits into the handle! The rods we're talking about and comparing are actually very different from each other. There are many types of fishing and I’ve included fly fishing, spinning and baitcasting rods in this review. ...but if you're either of users I've laid out in the "Best For" row of introduction table, you'd probably be perfectly fine going after that rod. ​First of all the models from Wild Water and Orvis are fly fishing rods. Fly fishing is a different method of fishing where you don’t use a lure but an artificial fly as bait. Instead of the heavy lure you have the weight of the line when casting your fly. It’s perfect for fishing in rivers and streams - which is where you'll likely be fishing when hiking. Many backpackers prefer fly fishing sets because they are overall much lighter than spin or baitcasting sets. Fly fishing is generally considered to be harder than the alternatives but it’s also emotionally more rewarding. If your goal is catching lots of fish for a feast and you're a beginner - maybe then don’t go for the fly fishing sets. ​Another time when a fly fishing rod while backpacking wouldn't probably be a good idea is if your goal is to catch lots of fish, impress your camp-mates and have a fish-feast at night. In that case, your best bet is choosing bait or spin fishing rods - either Daiwa Ardito TR or Okuma Voyager respectively - which are lighter but less compact compared to fly rods Wild Water and Orvis. Spin fishing is easier and has a higher chance of catching fish. If you want an easier tool, go for Okuma Voyager which is a spinning rod. On the flip-side, a bait-cast rod would allow you to catch much heavier fish and the model from Daiwa is quite durable bait-cast option. Both these models are much lighter and portable than traditional fishing gear - which come in a single rod with bulkier carrying cases, whereas these models all split into pieces and fit neatly into your pack. Still, they aren't as superior as fly fishing rods Wild Water and Orvis when it comes to size. The one on the left is a bait-cast reel and the one on the right is a spinning reel. Okuma Voyager comes with the reel, whereas for Daiwa Ardito you'll need to find a suitable bait-cast reel . I know Ronco Pocket Fisherman sounds and looks like a joke haha, but it's an actual fishing rod that uses lures. You'll see less success with it than the others, but it takes up significantly less space and weight. Regardless, if you're planning to cook the fish you catch, my best backpacking frying pans and Jetboil Minimo vs MSR Pocket Rocket (1 & 2) articles can be good reads for you. Normally I'd say the lighter the better but for fishing rods it’s not that simple! Weight of the rod determines the weight of the fish you can pull. The heavier your rod is the heavier fish you can pull. It’s not possible to catch larger fish with a small rod and it’s not fun to catch smaller fish with large rods (not to even mention it’s an overkill to use a size 10 fly rod on sea trout...). The lengths of the rods range from 6-9 feet. This is the optimal range for beginners that aim to catch small to medium fish. Both fly rods from Wild Water and Orvis are 9 feet - longer than the others. However, they require less accessories and fancy baits. What they weigh in terms of lines and rods they make up by not having baits and lures. Even though Wild Water is the heaviest, it’s the most compact. Ironically enough, Okuma Voyager is as light as its bulky! In my opinion, compactness and size is more important than the weight - which is why I'd recommend most backpackers a fly rod. All the rods except Ronco Pocket Fisherman come in multiple pieces and can be assembled easily when you want to use them. They also come with their own cases which increases the size but is very important for protection - and you still get to choose packing it or not. Ronco Pocket Fisherman is super-tiny (8 inches! ), so there's no need to disassemble it. However, it's still 1.5 lbs which means that it isn't the lightest (heavier than Okuma Voyager). OutdoorCrunch is all about backpacking, so all the models in this list are way more compact than your average rod. Wild Water, Orvis, Daiwa and Okuma all disassemble into pieces to fit into their cases. Obviously, Ronco Pocket Fisherman is in its own league in terms of compactness. At 6 feet, Okuma Voyager is the shortest of the rods and it disassembles to 5 pieces - making it also the shortest when packed. Don’t leave your rod sticking out of your bag without a case! ​You'll likely damage or even break it. 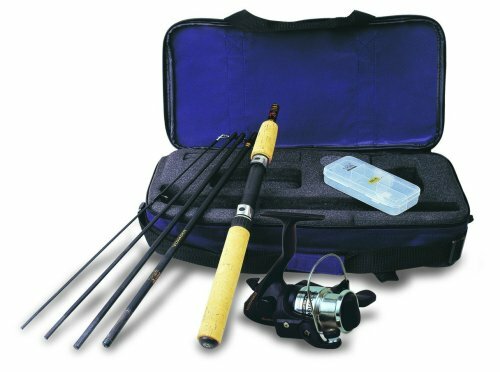 ​If we compare the cases of the rods and sets, Wild Water is very compact and fits everything neatly into a 32 inch case with a larger bottom to fit the reel and the accessories. The case is actually very protective, so you might even be able to hang it outside your pack if the inside is already up to its brim. Daiwa and Orvis Clearwater come with rod tubes to only fit the rod. They're very compact and could easily fit inside your pack. Daiwa can also be attached externally. Even though Orvis Clearwater Fly Outfit is sold with the reel and line, there's no place for them in the casing and you'd have to find a place for them inside your pack and try not to lose them. However, this is actually the better option because as we see in Okuma Voyager, the case can get very bulky when everything is together. It’s case a foam filling that increases the volume unnecessarily. The case is still relatively small at only 3 x 9 x 17 inches, but you might consider separating the pieces and storing them in your pack without the case. The sleek semi-hard travel case for Daiwa Ardito. ​On the extreme end of the compactness spectrum is Ronco Pocket Fisherman. Its rod is only 8 inches long and it folds into the handle itself. Similarly, the reel closes into the handle and there is a storage compartment that stores the lures. The Wild Water Fly Fishing Set is more geared towards beginners and intermediates and our top pick. The rod is a slow action rod, meaning that it bends more . This type of rods are more forgiving and won’t damage the fish even if you use it improperly. ...which is great for both saltwater and freshwater. The 5/6 in the name refers to the weight of the lines the rod can support: It's good for 5 or 6 weight lines - which translates to average to low numbers. This means that it’s great for angling for small to above-average sized fish. Even though the full length of the rod is 9’, the rod separates into 4 pieces that are 28.75 inches each and compactly fits into its case. By the way, the hard shell case offers great protection if you want to hang the set on the outside of your pack. The case is 32 inches, which is on the long side but you can easily attach it externally to the side. You see the full set with all the accessories in the above picture. Even though the set comes with lots of extras, the case is very compact. The set features the aluminum reel with the line, fly box with 9 flies including winged black ants, ribbed hare’s ears and parachute adams. These flies won’t last you forever but you can easily replace them and store them in the waterproof fly box. The set also has mono-filament leader, line nipper tool and retractable zinger. There's also a guide which you can take with you to the trip or leave at home to shed some ounces. Overall, the case is a little bit heavy without being bulky. This set is the winner because of how compact and easy to use it is. But you might still want to check out the others if you're looking for a more advanced and durable fly rod (Orvis) or other types (Okuma Voyager or Daiwa Ardito). Daiwa Travel Trigger Rod is for the more experienced fishermen looking for a durable and compact rod. The rod is 7 feet long and comes in 3 pieces. It’s also a fast action rod, meaning that it doesn’t bend as much and bends only at the end ⅓ of the rod. They’re more sensitive than slow or moderate rods but they also require more skill to use. 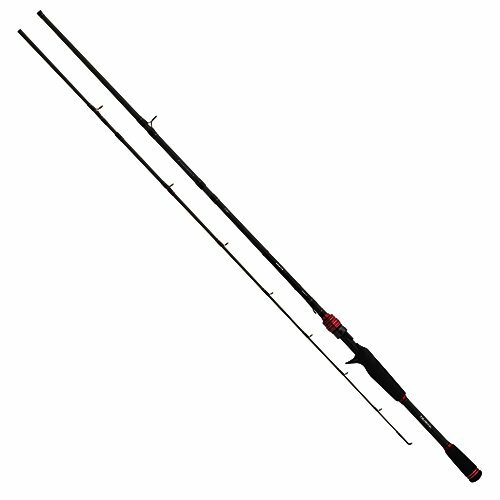 This rod is perfect for catching large fish as it provides more power and durability to pull the fish out of the water. Its sleek semi-hard case is perfect for an already full pack. You’ll have to combine this rod with a reel and a line. If you’re looking for a reel that would fit this rod, you might want to check out the bait cast reels from Daiwa such as Exceller or Laguna. Daiwa Ardito TR comes in 3 pieces that can be stored in its case. ​You can tell from the protruding trigger on the reel seat that it's a casting rod. Even though you might try to pair this rod with a spinning reel, it won’t perform as well. Bait-casting is a bit trickier than a spinning but it also has greater accuracy and can handle heavier fish. The obvious downside to this rod is that it’s not for absolute fishing beginners. However, if you’re a beginner who is only into bait fishing this can be a quite good choice but you'll still need to build your own set with this rod - which isn't an easy task for full beginners. This model from Orvis is my "most durable backpacking fishing rod" pick. One thing to quickly note is that this one comes with a 25 year warranty! That’s how much Orvis trusts the durability of this rod and reel combo. Unlike the Wild Water Fly Fishing Rod, this rod is moderate action, so it'll bend less with force. Translation: it requires a bit more experience to use but is suitable for a wider variety of fish. Clearwater series from Orvis comes with a wide selection, the one I’ve chosen here is the 4-5 weight one with 9 feet length. This is an intermediate weight and length that can be used for a range of fish. However, if you want a rod that’s specifically for saltwater or big fish, you can still checkout the Orvis Clearwater series - they probably have what you're looking for. The tube you see in the above picture only fits the rod in pieces, so you'll have to find a place for the reel elsewhere. ​The rod separates into 4 pieces and fits the sleek rod that is 31.5 inches long. There is no case for the reel. This could be either an advantage or disadvantage. You can place them in your pack in the way you want with still good protection for the rod but having them separate increases the chances of losing one of them. Also constantly taking the reel off and attaching it back on can become a hassle. If you're looking for absolutely the best backpacking fishing rod and you wouldn't mind it coming "overkill", this can be a great rod for you. Okuma Voyager, as the name implies, is geared towards travelers - but with a little too bulky case. The rod is 6 feet in full length and separates into 5 pieces and first into its case with foam filling. The reel is a size 20 spinning reel which is easier than a bait-cast reel and more durable than a spin-cast reel. The main advantage it has over the bait-casting rods is that it’s much easier to use and that it doesn’t backlash when used with strong winds. Even though the case offers good protection... It’s quite bulky for most backpackers. ​Main disadvantage of this model is that spinning reels tend to get the line twisted. You'll have to adjust and fix this problem but as you get more experienced this problem will also decrease. It's also more for small to medium sized fish due to its short-ish length of 6 feet. For larger fish, it won’t be powerful enough. This rod is NOT for saltwater. ​Another issue with Okuma Voyager is the carrying case, as we’ve already discussed. Even though the rod is lightweight, the carrying case is bulky. It’s actually smaller than it looks with 3 x 9 x 17 inch dimensions - so beware. Still, you might want to consider carrying it in a different setup. However, if you'll be car camping this can be an excellent option. After all the other sets, the Ronco Pocket Fisherman is ridiculously small and compact compared to them but still works just fine. You aren't really sacrificing any valuable pack space/weight by tossing this into your pack. Worst case: you can even clip it to your belt or the outside of your pack from its handle, lol. The short rod folds into the handle and the lures fit into the black compartment. This isn't the ideal choice if you're going on a backpacking fishing trip but more if you're going to hit the trail and fishing might be an option. Also, this is an ideal tool for kids who are just getting into fishing. Yes I know, it looks tacky, but it works. The disadvantages of Ronco Pocket Fisherman are just like you would expect. The reel is hard to use and the range is much shorter (think max of 60 feet) than the others. It’s not possible to catch large fish and the odds of catching fish are generally lower than the alternatives. Still, in my opinion the pros of compactness outweigh these problems. Highly recommended if you're a much less serious in fishing while backpacking and going to do it just for fun. I hope this review was helpful for you to understand which backpacking fishing rod is the best for your needs. Feel free to ask me any questions, provide feedback and I'll be happy to respond in the comment section below if it's within my knowledge.